// About Newtopia: a definition n – a cultural review that examines how our politics and policies are reflected in our arts, government, and humanities. v – an experimental form of thought mutation and cross-breeding, providing a unconventional forum for a range of detailed and informed socio-political opinion and analysis. adj – words or ideas used for the development of new possibilities, theories, and solutions for a better world. Often confused with the word idealistic. If, as existentialist psychologist Rollo May claims in “Cry for Myth”, the American dream of coming out number one died with The Great Gatsby, Silver Linings Playbook pitches an idea for how to make the best of a society without personal myth. In The Great Gatsby, no amount of money or success frees Jay Gatsby from his past, nor does access to beautiful women and high society ease his loneliness. Pat Jr. (Bradley Cooper), the protagonist in Silver Linings Playbook, pins his hopes for an image makeover on getting trim and getting his wife back. In the first scene he stands looking at the word “Excelsior,” written on a poster adorning the wall of his room in a mental institution. He shall, by force of will, get his dream back on track. Unbeknownst to 21st century Pat Jr., Fitzgerald identified this path of blind optimism and facade of accomplishment as a dead end to achieving love and happiness. Pat Jr., as sure as Gatsby before him, believes in “the green light, the orgastic future” across the Long Island sound even as he finds himself in the hell of a broken dream. He’s an involuntary patient in a mental institution where he was sent after nearly killing his wife’s lover. So, what’s the Playbook part of Silver Linings? What’s going to redeem the dream? Pat Jr. is a man linked firmly to a previous generation of lost dreams. His father Pat Sr. (Robert De Niro) has lost his job, barely talks to his wife and uses the family home as a hub for his bookmaking operation. Like father, like son, both are hotheads who fly off the handle regularly. Their simmering rage hides in the folds of self-absorption, a defensive symptom of alienation. Pat Jr. is obsessed with getting back his wife because marriage is a fantasy of happiness for him. Barely thirty, he’s an ex-part-time schoolteacher and was such a loser husband that his wife not only cheated on him, she’s divorced him, moved and took out a restraining order against him. Psychiatric diagnosis may label the rude, crude and unattractive behavior of Pat Jr. and Pat Sr., but it fails to explain their solidarity of devotion to dysfunction. Reveling in dysfunctional dynamics seems to fuel both father and son’s determination to prevail in an illusory dominance of spirit over reality. As the film begins we get our first hint of who’s writing the playbook to restore Pat’s chances for a silver lining. Not his father, not his shrink, not his friends and not his positivistic plan, “Excelsior”. His mother makes the first move. He is rescued from an involuntary commitment by his mother, Dolores (Jacki Weaver), who signs a court order for his release to her custody. This is not because he’s cured. This is because Dolores feels certain in her heart that her son will be better off at home. The first challenge to his mother’s instinct comes before they get out of the parking lot of the institution. Pat deludes her. He talks her into giving his good buddy, fellow patient Danny (Chris Tucker), a lift only to discover Danny doesn’t have permission to leave the grounds. Undeterred, she u-turns Danny and continues on home with her son. Mothers may be fools some of the time but not all. Pat Sr. has not been told of his wife’s decision to bring Pat Jr. home. Wives – as well as mothers – are no fools. When Pat Sr. sees his son standing behind his mom, his face contours an irritated disgust. Pat Jr. proceeds to wear through the already worn out welcome mat at his parent’s door. Pat’s homecoming becomes a series of clashes that stretch his mother’s good will and test his father’s forbearance. In his son, Pat Sr. is faced with himself. Pat Sr. is also hooked on a green light, denying his failures and dysfunctional relationships, betting on lady luck to get him a restaurant to replace the job he’s lost and settling into a spate of frustrated outbursts. He’s as obsessed with the Philadelphia Eagles as Pat Jr. is obsessed with Nikki, his ex-wife. The mother, in her infinite wisdom, seems to stand quietly by while husband and son occupy center stage. Pat Sr. blows hot and cold. Pat Jr. rants and runs, jogging in a black plastic garbage bag that speaks louder than his mantra “Excelsior” about his destiny. One has to wonder. Is Silver Linings Playbook writer/director David O. Russell fighting fire with fire? Throw frustration into the emotional tumult of a dysfunctional family and see what happens? What’s this mother got in mind? What big idea – the myth – is Dolores tapping into to find the strength to believe in these two men while they each heave disrespect her way? Heat the iron bar of alienation until it glows red and bends into intimacy? Not exactly. She’s got love in mind, love in the shape of a young woman with diamonds on her soul named Tiffany (Oscar winner Jennifer Lawrence; the actress in Hunger Games and Winter’s Bone…no stranger to holding her own) who lives nearby. Tiffany takes up running on the same neighborhood streets as Pat Jr. (We’ll discover the mother’s got a hand in this too.) A girl very different from Daisy in The Great Gatsby, Tiffany sizzles. From the moment Pat and Tiffany meet at her sister’s house, sexual chemistry leaps between them. She’s got the name and the credentials to challenge alienation. Tiffany is a recent widow and marked as a misfit in the community by her sexualized acting out after her husband, a cop, was killed. She’s as lost as Pat but she’s not an isolator, she’s a connector. Tiffany’s next move is to ask Pat to partner with her in perhaps the least manly activity he could’ve imagined — a dance contest. A man who can run can dance, right? Wrong. Run is a straight line, done totally by oneself. Dance is circular, done with another. If run is masculine – single minded, goal oriented, reasoned and focused — then dance is feminine – instinctive, intuitive, empathetic, relational and contextual. Tiffany, already a good runner, invites Pat to become a good dancer. She holds his feet to the fire. If he wants her to deliver his letter to the ex-wife, he’ll have to give what she wants. A two-way partnership is a novel idea for Pat – a man whose illusionistic thinking has bound him into the unfulfilled striving so poignantly elaborated in The Great Gatsby. Pat believes if he can just convince his ex-wife that he’s a man in control of his emotions and a man with a future…she will change her mind and they’ll live happily ever after. Not one iota of his plan includes what the woman of his dreams feels or longs for. And while that fact is not lost on Tiffany, she’s a woman in love who’s not afraid of risking honesty. At the same time Tiffany is getting Pat’s cooperation, Pat Sr. draws his son into a grand scheme of magical thinking taken straight from his bookie’s belief in the Eagles. Pat Sr. will soon discover that Tiffany is a match for him as well as Pat Jr. Pat Sr. has been banned from his beloved Eagles stadium for angry outbursts that have nearly ended in jail or institutionalization. Also a man who stakes everything on a dream, he’s beginning to look like the fool he is. Father and son, boxed into a corner where neither has a job nor decent respect for others, make a pact. Pat Jr. will go to an Eagles game and give the team Pat Sr.’s superstitious “ju-ju” support. Pat Jr. goes, only to get into a fight and be thrown out of the stadium – with his shrink! This is where the fun really begins. Pat Sr. tries to put the hex on Tiffany and get her out of Pat’s life. But Tiffany, no stranger to reasoning in the realm of magical thinking, dances with more than her feet. With exquisite logic in one of the best scenes in the film, Tiffany bridges the gap between her and the men in the family with aplomb. She parlays her wishes into a parlay bet. The Eagles will beat the Cowboys the same day that Tiffany and Pat will compete in a professional dance competition and achieve at least a rating of “5”. Pat Sr.’s stoked by the excitement of a big win. The day arrives. The Eagles beat the Cowboys in a long shot. It’s all up to the dance contest now. But, just as Tiffany and Pat enter the competition dance hall, so does the ex-wife – the ‘ideal woman’ illusion back in play. Is the dead dream of turning wishes into reality going to reclaim Pat Jr.? Even Tiffany’s confidence waffles. As much as Silver Linings Playbook is about a man finding a silver lining in his obnoxious personality – mental disorder or no – the winning plays come from the women in his life. He’s rescued by his mother more than once and given a stream of second chances (with teeth) by Tiffany. On her own, Dolores urged Tiffany to run (literally) after her son. It’s Tiffany who wrangles Pat into the confidence and commitment to become a true partner – first, on the dance floor and, second, as his shrink clarifies, in real life. Tiffany’s brilliant risk-taking, bringing unruly dark feelings into the light and making all the right plays, creates a connective tissue of intimacy for Pat that was missing for Jay Gatsby. With uncertainty an equal player to stability in relationship and alienation as American as apple pie, dreams should be worthy of the individuals who pursue them. 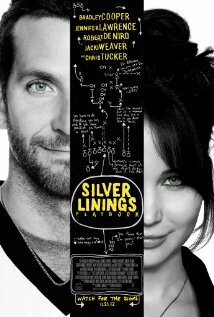 Silver Linings Playbook challenges any unexamined belief that there is nothing relational for men to do. As part of an antidote to despair, the inclusion of raucous family dysfunction, good-hearted witchcraft and smart plays by some very smart women in a film with a Hollywood ending qualifies as a cry for myth. There’s so much emotional winning at the end of this film, no spoiler alert is necessary because you can’t imagine it. You have to see it…and decide for yourself whether its playbook offers an alternative to Gatsby’s alluring green light, a future that moves ever further away as it’s pursued. 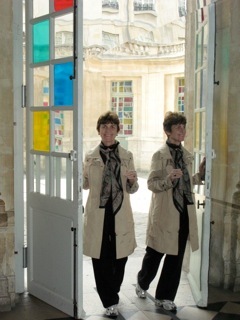 Newtopia staff writer Jane Alexander Stewart, Ph.D. is a clinical psychologist in Los Angeles who writes essays about mythic themes in film, creates “Myth in Film; Myth in Your Life” seminars for self-exploration and travels a lot. Her film reviews have been published in the San Francisco C.G. Jung Library Journal, Spring: A Journal of Archetype and Culture and Los Angeles Journal of Psychological Perspectives. Jane’s popular essay on “The Feminine Hero in The Silence of the Lambs” appears in the anthology, The Soul of Popular Culture, and in The Presence of the Feminine in Film as one of its authors. She’s also presented myth in film programs at Los Angeles County Museum, University of Alabama and C.G. Jung Institute in Zurich. A collection of her reviews and other writing can be found at www.CinemaShrink.com.